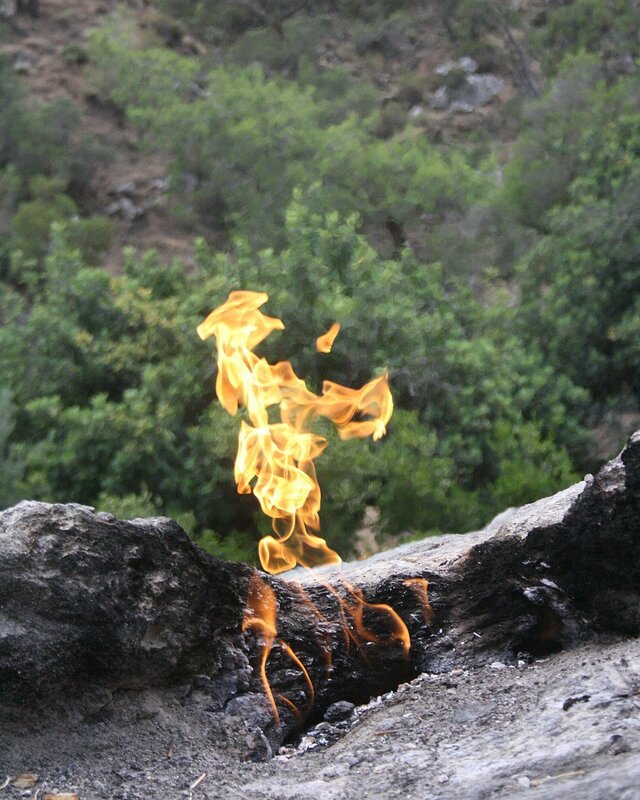 Cirali Bay, home of sea turtles, legendary flames and Lycian ruins, is a place where history and nature meet. Surrounded by stunning high mountains and a clear turquoise sea, Cirali is a welcome retreat from busy cities and overdeveloped resorts. Behind the beach lies a mix of fruit farms, small pensions and restaurants. 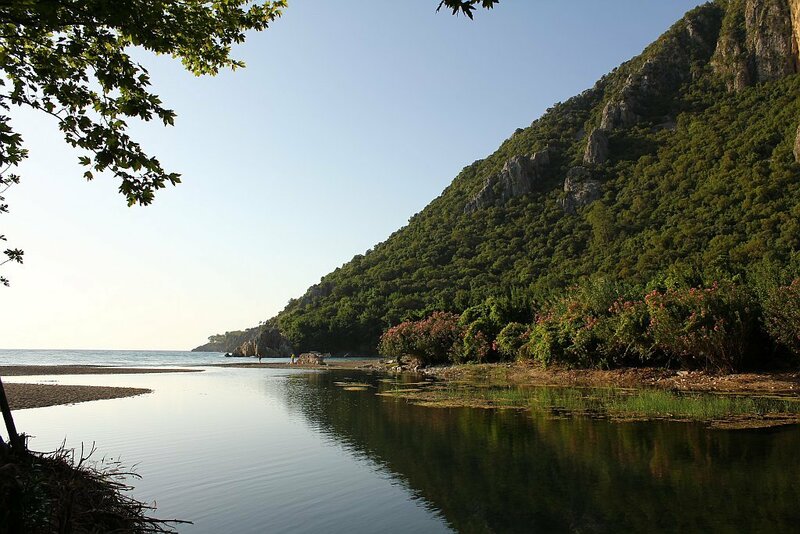 Starting from Musa Mountain in the south, Cirali beach stretches 3,2 km to the rocky Karaburun headland. Due to its protected status this pebble beach remains unspoiled and is a perfect place to unwind. With its clear and calm sea it is an ideal spot for swimming and snorkelling. The most important inhabitants of Cirali are the Caretta Caretta (Loggerhead) turtles! Between the end of May and the beginning of August, turtles come to the beach in order to lay their eggs. Throughout the season, volunteers from the World Wild Fund for Nature (WWF) regularly patrol the beach, placing cages over the nests of the Caretta Caretta eggs in order to protect them from human damage. The baby sea turtles hatch between the middle of July and the end of September and during this period it’s possible to see the babies early in the morning, when volunteers check the nests. Many boat trips run from Cirali to neighbouring bays and caves and even to the sunken city of Kekova. We are happy to help you organise such tours as part of your family vacation. 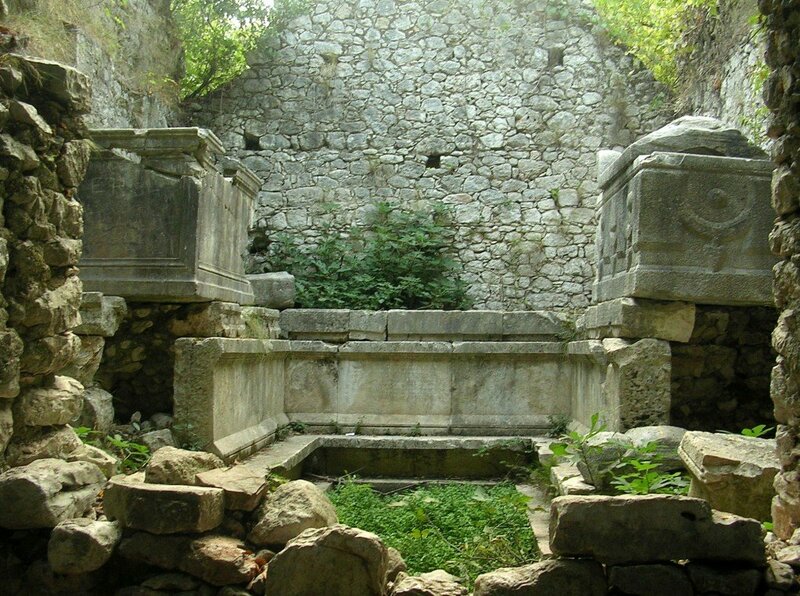 At the end of Cirali’s beach lie the extensive ruins of the ancient city of Olympos. 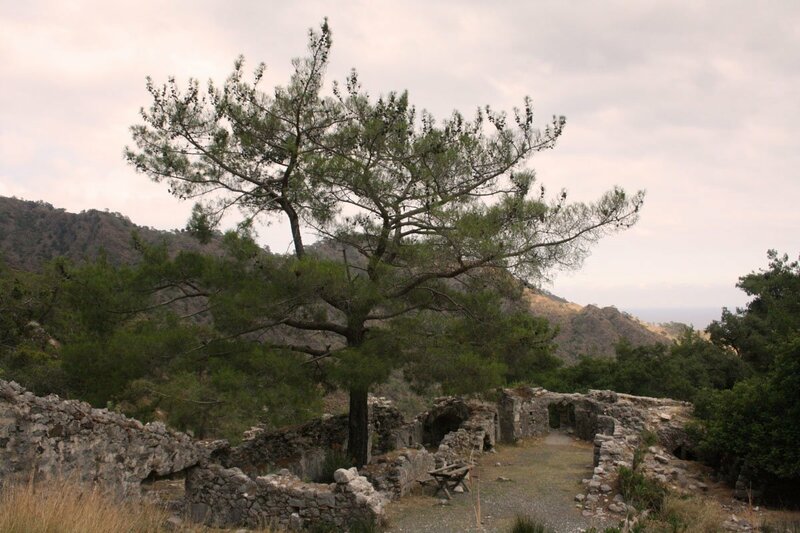 Dating from 2000 BC, Olympos was one of the major cities of the Lycian union. This important city served as both a centre for trade and a pirate stronghold for many centuries. The growing Roman Empire put an end to the rule of the Corsairs in 76-77 BC and churches started to appear with the spread of Christianity. 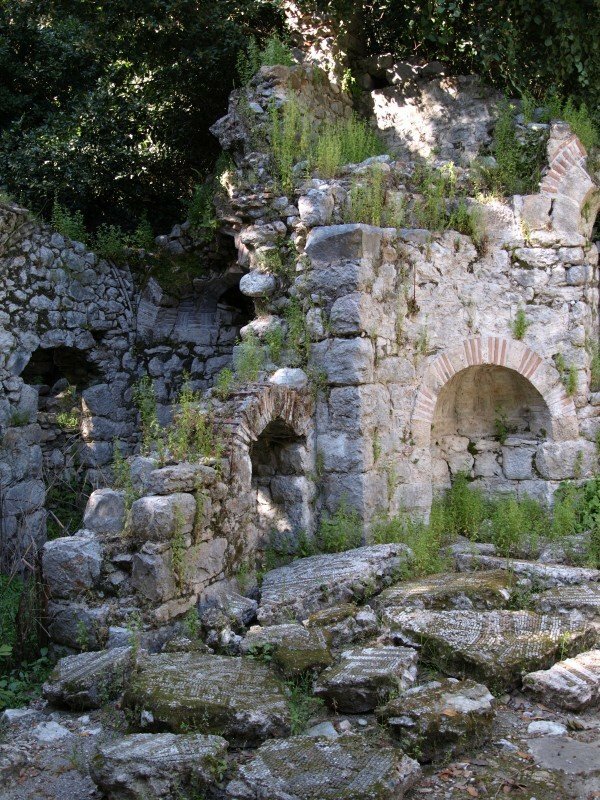 Following the Romans, Venetians, Genoese and Rhodian knights all played a role in the history of Olympos and it is still possible to see small Venetian castles on the surrounding hills. Ottoman rule was established in the region during the 15th century but the city was later abandoned after major earthquakes. Today the forest covering the ruins of this ancient city is being cleared and the area is being restored by archaeologists. 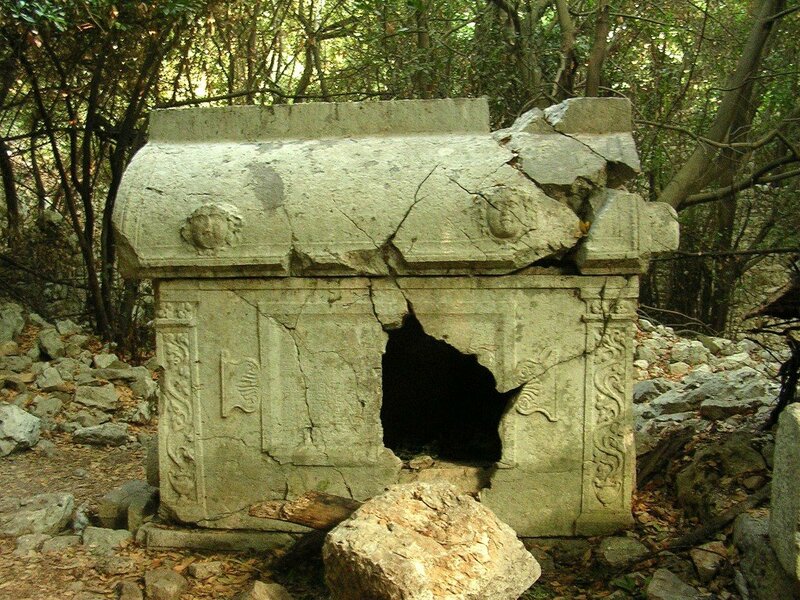 Olympos is now protected by the Turkish Ministry of Culture and Tourism. 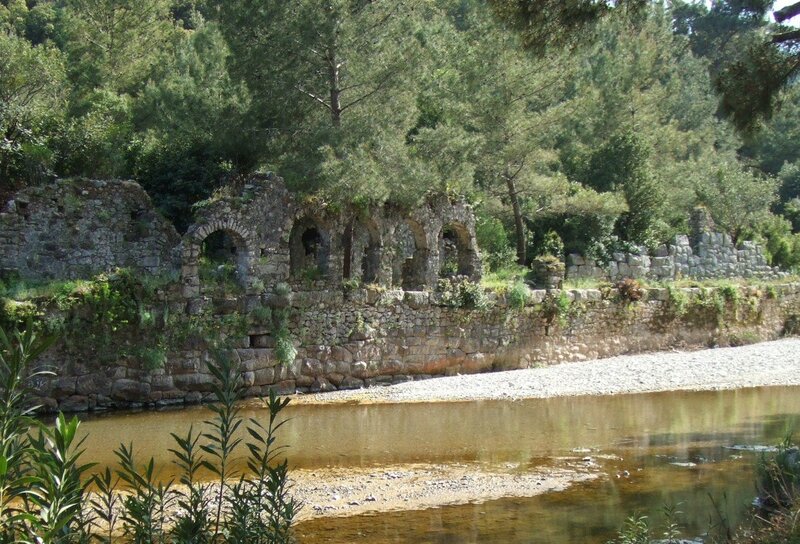 For a 20 TL entrance fee it is possible to explore the ruins of this ancient civilisation. Cirali lies on the route of the ancient Lycian Way (http://www.lycianway.com), a 540 km footpath along the coast of the beautiful Tekke Peninsula in southern Turkey. 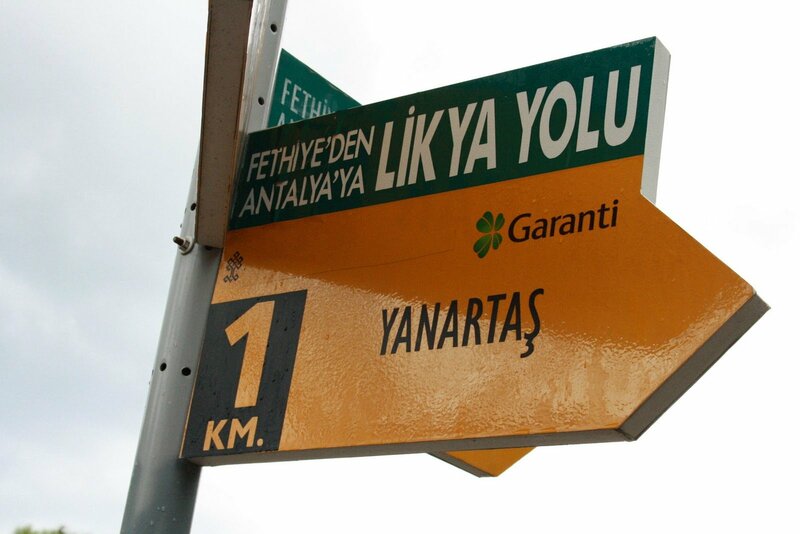 Trekking the entire route, from Fethiye to Antalya, takes about a month. 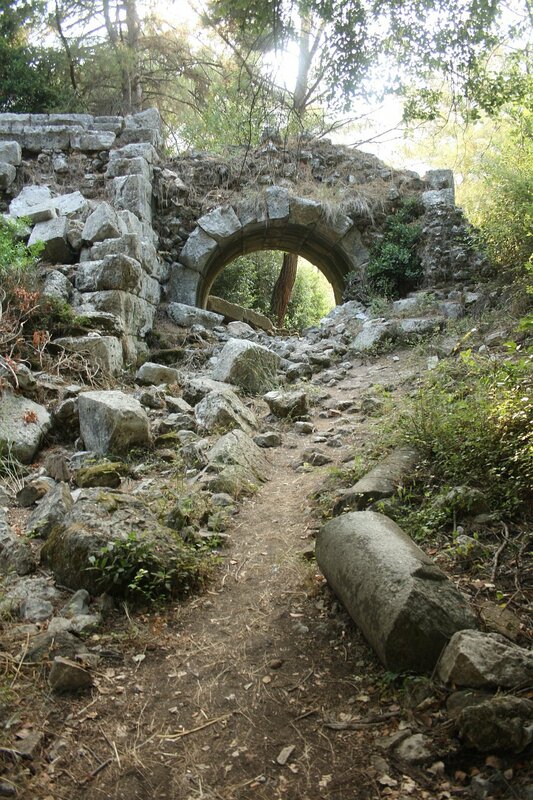 The path was developed by a group led by Kate Clow in 1999 and follows some of Turkey’s old roadways through many culturally and historically important sites. 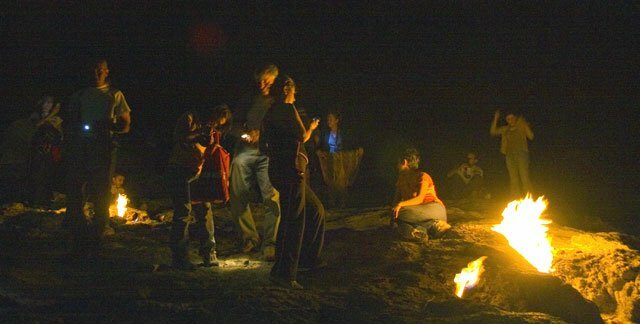 Cirali hotels are a popular stop-over for long-distance trekkers looking for a break and restocking point along the way. 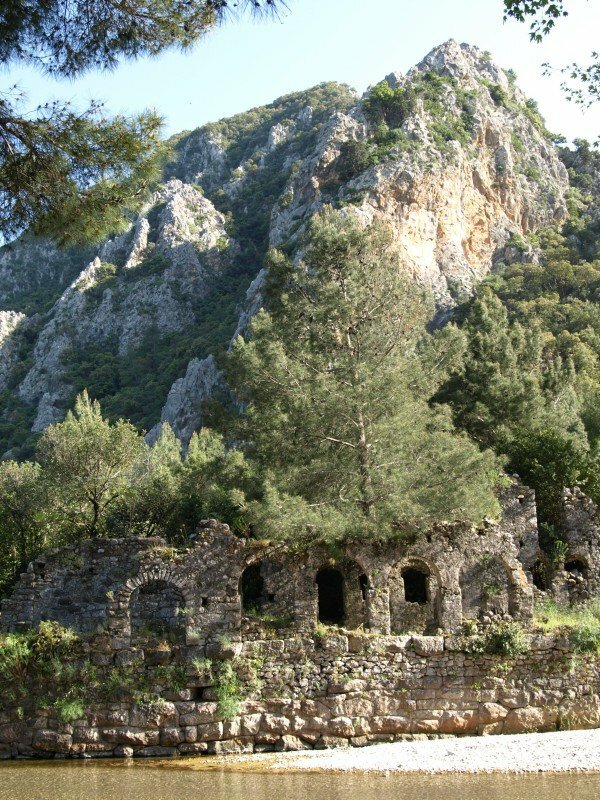 The Lycian Way can also be explored on shorter day-hikes, and an entrance to the trail is just a five-minute walk from our front gate. 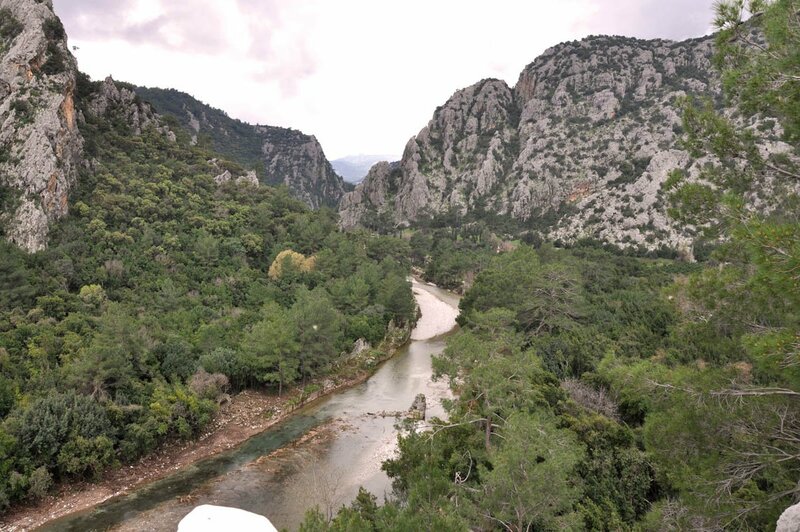 Around Cirali, the Lycian Way guides trekkers through Olympos National Park — along the rugged coast of the Mediterranean Sea, down into quiet turquoise coves, and up through the fragrant pine forests and clusters of wildflowers. 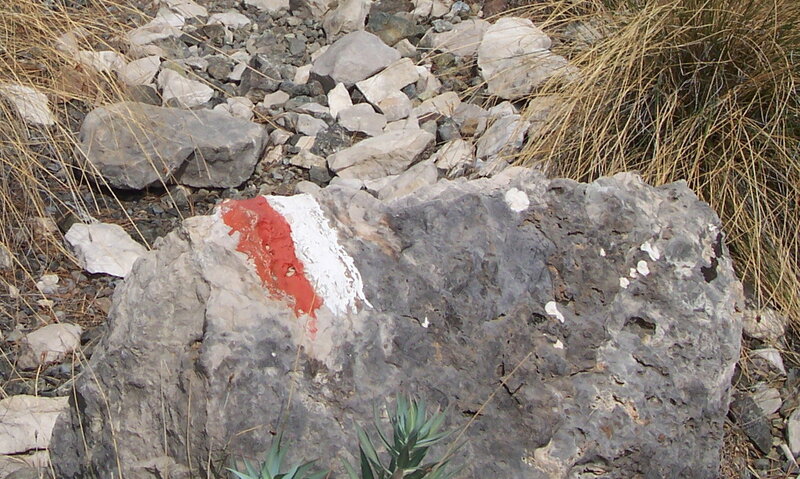 Lycian Way paths are well marked with red and white stripes and detailed maps and guides are available. 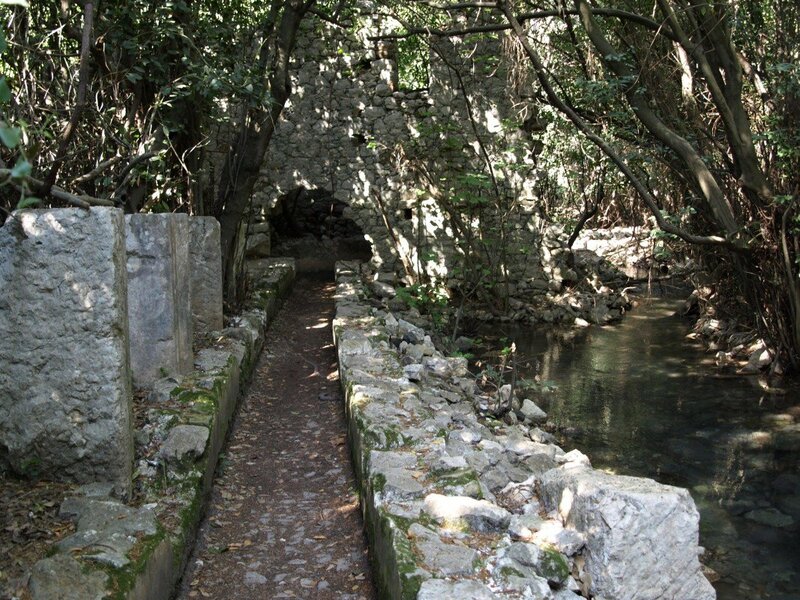 One of the interesting places near Cirali is the site of the ancient city Phaselis. 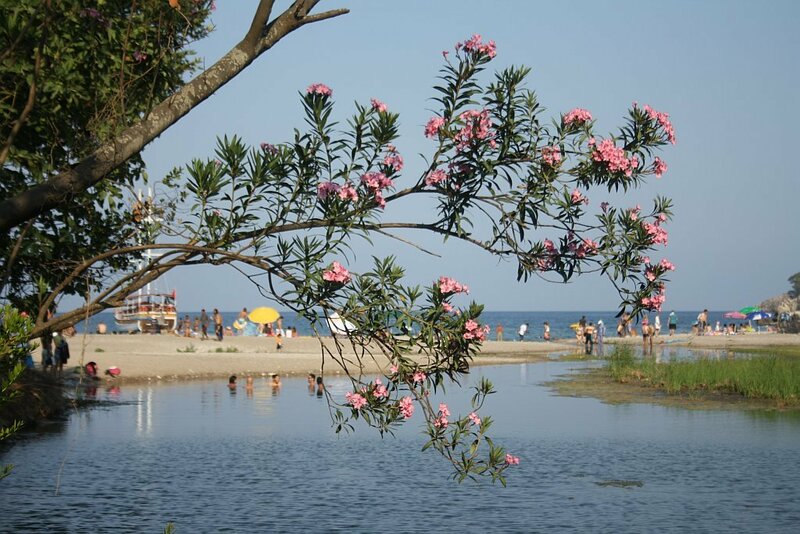 This once important port is located near Tekirova, about 20 km away from Cirali. 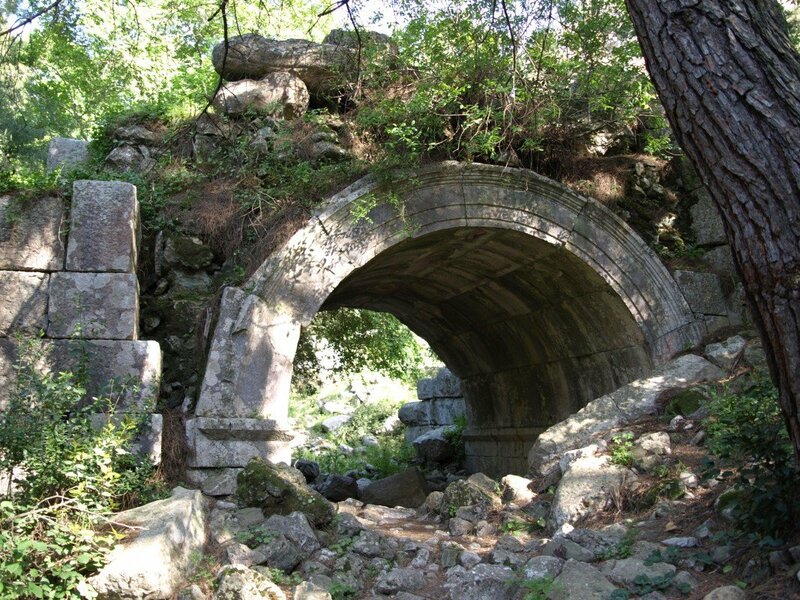 Phaselis was founded by Rhodians in 700 BC. 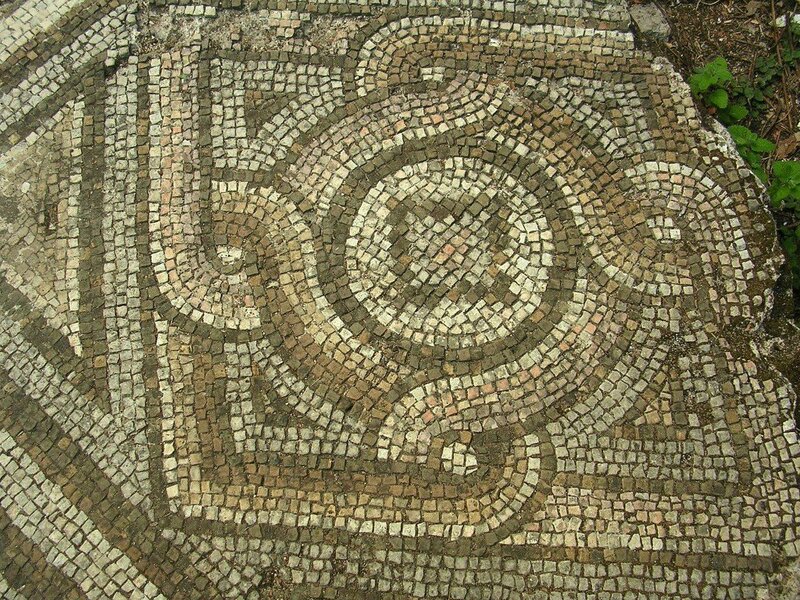 It became an important harbour city for western Lycia and a center of commerce for the entire Eastern Mediterranean region. During Roman reign the city maintained its importance and it was even visited by the great Roman emperor Hadrian. To commemorate his visit, a gate was constructed at one of the city’s three harbours. ‘Hadrian Gate’ is on the southern part of the main street, which runs through the middle of the city. 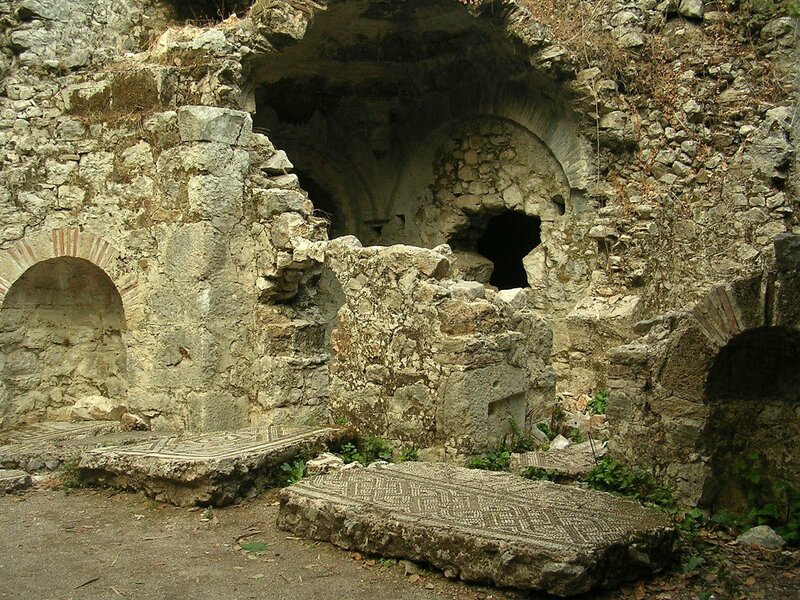 There are ruins of shops and stores on the sides of the street and nearby are the ruins of public places such as Roman baths, agoras and an especially well-preserved theater. 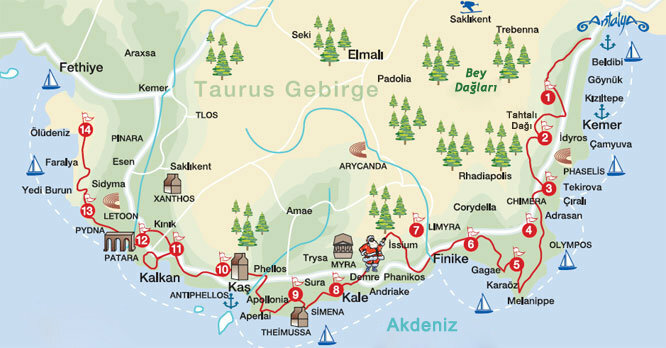 From Cirali, Phaselis can be reached in 20 minutes by car. 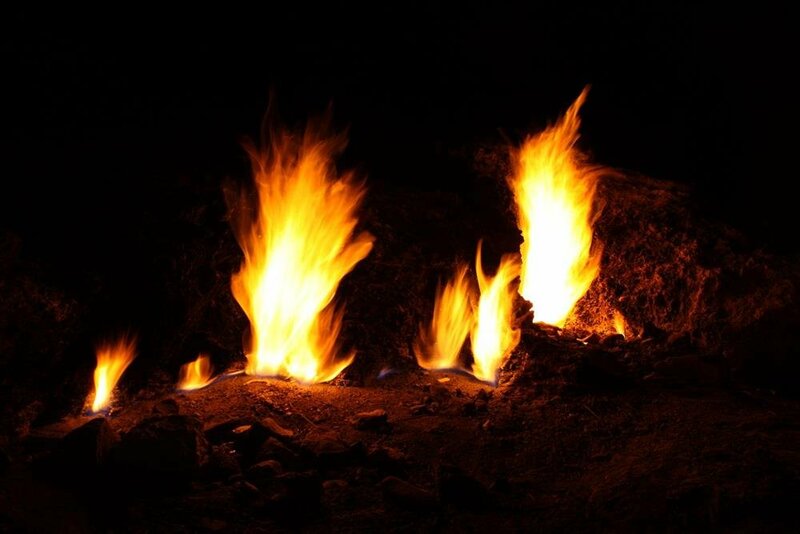 It is also possible to take tours organised by local tour companies. 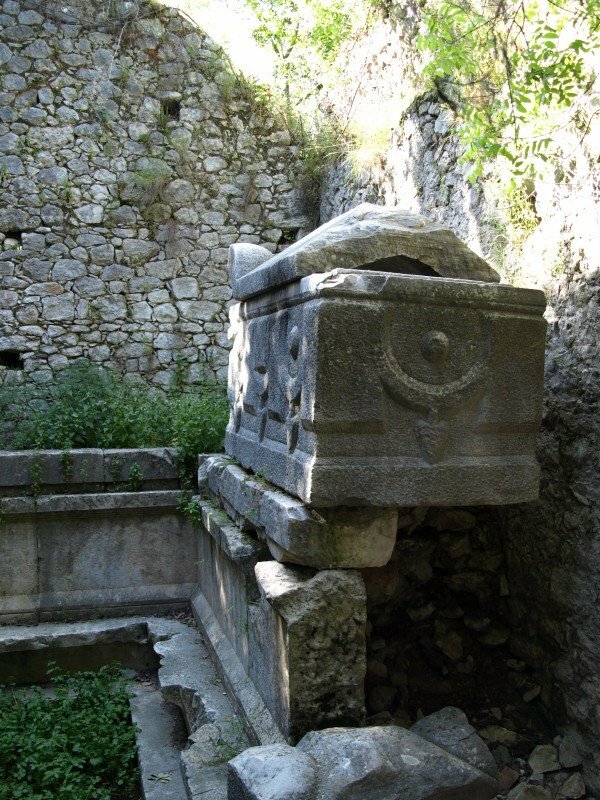 The ancient city is under protection as open museum; the entrance fee is 20 TL.